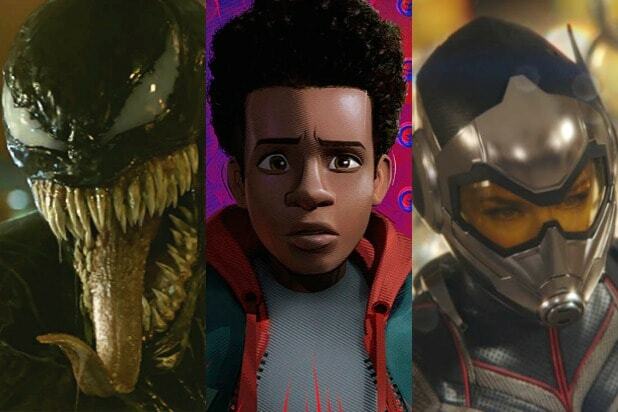 On Monday, Marvel dropped the second trailer for “Captain Marvel,” the first female-led standalone movie for the Marvel Cinematic Universe, and at first glance, it seemed pretty straightforward. It’s a movie about a superpowered woman trying to find out who she really is and gets caught up in some kind of crazy cosmic conflict. But at second — and third, and fourth, and fifth, and so on (we’re not kidding) — it’s not so simple. Combine that with the assumption that “Captain Marvel” will, in some way, be a crucial piece of the greater MCU story ahead of the release of “Avengers 4,” there’s a lot to try to parse from this two-minute trailer. 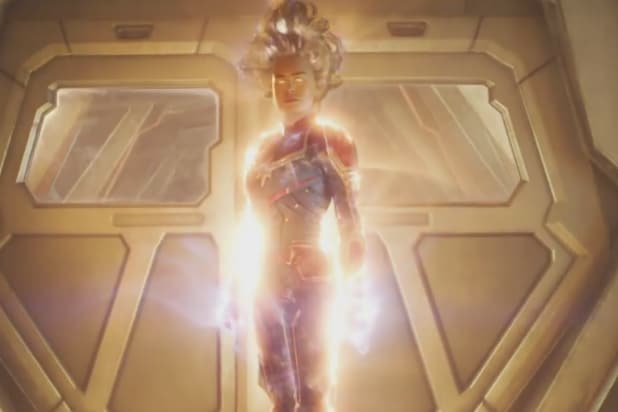 So after spending way too much time staring at the new “Captain Marvel” trailer, we’ve got a lot of questions. Let’s get into it. 1. How Is Carol Danvers Secretly Important to Whatever Is at the Center of the Story? 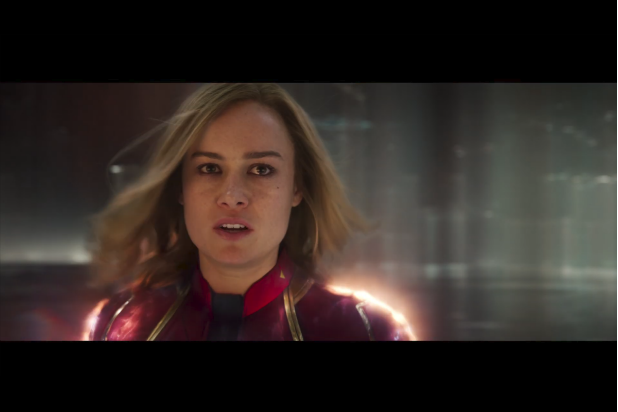 There’s a conspicuous line early on in the trailer: Carol Danvers/Captain Marvel (Brie Larson), speaking to Nick Fury (Samuel L Jackson) declares that “something in my past is the key to all of this.” Assuming that “all of this” refers to the general conflict at the core of the movie, which involves the galactic war between the Kree and the shapeshifting Skrulls, why would Danvers’ past be so crucial? She was, after all, just a regular human before she was converted into the (we think) half-Kree superhero that she is now. Did she stumble into some kind of important battle? Did she see something she wasn’t supposed to? Did the Kree wipe her memory to make her forget whatever it was? There’s also the looming threat of Thanos in the Marvel Cinematic Universe’s future. And as we saw during the post-credits scene in “Infinity War,” Nick Fury specifically called her when he realized what was happening. We have to think then, if this movie is so important to the greater story of “Avengers: Infinity War” and “Avengers 4,” that whatever it is in her past that’s so crucial in this moment, may very well also be the key to saving the universe from Thanos. We just have no idea what it might be just yet. 2. And Related to That, Will “Captain Marvel” Reveal Why Earth Is so Central to the Greater Galactic Situation? If there’s one thing the Marvel Cinematic Universe has made crystal clear since at least “Thor,” it’s that Earth has some kind of crucial connection to events of galaxy-scale importance, even if puny earthlings aren’t directly involved. And that was true long before the two times Thanos tried to invade the planet. Somehow, the Space Stone remained safely hidden for centuries. Not only that, but Earth also became home to another Infinity Stone, the Time Stone, which was kept safe for thousands of years by Masters of the Mystic Arts. And even after the Space Stone was removed from the Earth, the Mind Stone stayed behind on Loki’s scepter, meaning that for more than a 1,000 years, there have been at least two Infinity Stones on earth at any given time. Meanwhile, out of all the sentient races in the galaxy, Ego the Living Planet was only able to produce a child who could inherit Ego’s powers successfully with a human — the resulting child, Peter Quill, even survived direct contact with an infinity stone without dying. And that’s not even getting into how Danvers is either a half-human, half-Kree, or a human turned by science magic into a human-Kree hybrid — remember, according to Marvel studios boss Kevin Feige, Carol is the most powerful superhero in the MCU. So, what’s up with that? Clearly, Earth and the human race have some kind of special importance. And whatever secret thing is in Danvers’ backstory may help explain that. 3. How Long Was Carol Actually With the Kree? “Captain Marvel” takes place at some point in the 1990s, and we can infer that when we meet her, she’s an experienced Kree warrior with years of service under her belt. Danvers certainly seems to think she’s 100 percent Kree at the beginning of this trailer. But she’s also having flashes of old memories that clearly happened here — she appears to have been an Air Force captain — and she enlists Nick Fury to help her find out WTF. We have to wonder how old those memories are. What if Danvers was in the Air Force much earlier than the 90s setting, like sometime in the 1980s? She could still look so young as a result of faster-than-light travel time dilation. It could also just be that the space magic the Kree put into her bloodstream allowing her to live longer. Living longer is one of the perks of being Kree, after all. One thing is for sure: Nick Fury isn’t yet the eyepatched, badass leader of S.H.I.E.L.D. we know and love. But he’s in S.H.I.E.L.D., so presumably has access to government records that could possibly shed light on Carol’s past. It would be weird if all he has to do is visit the Pentagon to find records going back to the early Clinton administration — which is at most just a couple of years earlier. 4. And Why Does Carol Think She’s a Kree? In the trailer, Carol indicates that she doesn’t know she’s from Earth. This is not part of Carol’s story in the comics, and so it feels like a really significant point. It also provides a parallel to another MCU character, Peter Quill, who thought he was fully human before discovering that his dad was actually a Celestial. Just as that revelation had universe-shattering consequences for Quill, could the fact that Carol thinks she’s a full-on alien only to discover in this movie that she’s actually a human, enhanced with Kree DNA, be similarly huge? Considering that seems to be the entire plot of the movie, it seems likely. 5. Who Is Actually the Villain? The trailer shows how, at first anyway, Carol is a devoted Kree warrior in the fight against the shapeshifting Skrulls, until at some point she decides to stop fighting the war. That makes us think the Skrull, whatever they’re actually up to on Earth, aren’t actually the bad guys their naturally-reptilian green skin and pointy ears would suggest. Despite Danvers explicitly telling Fury otherwise. Kind of looks like they’re standing in the same room for that conversation, doesn’t it? And Bening’s comment sure feel like the kind of thing someone who’s been gaslighting you (for their twisted idea of The Greater Good) might say near the end of a story, when you find out and try to quit. 6. What Are the Skrulls Up to on Earth? 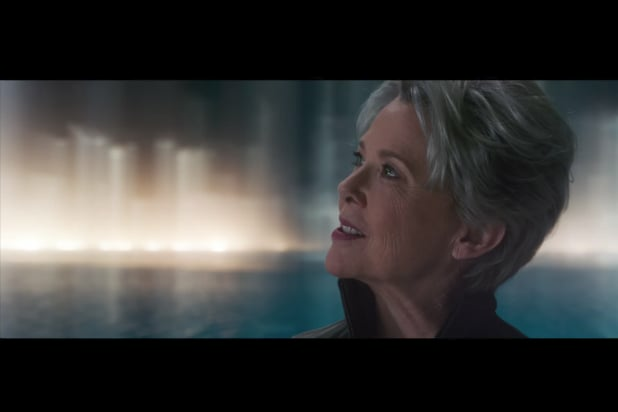 If Annette Bening’s Kree character is the true villain here, then what does that mean for the Skrulls? In the comics, the Skrulls only end up in a war with the Kree because the imperialistic Kree came after them first — meaning there’s a good chance that the MCU Skrulls could in turn be less villainous than they appear.